Colorado knee and shoulder specialist Dr. Matthew Provencher has launched his website to help patients and medical professionals access information on the causes and treatment of acute and chronic knee and shoulder injuries. Dr. Provencher created this website to help patients advocate for their own best care and to provide medical professionals worldwide with access to his research and innovative treatment techniques. Orthopedic knee surgeon and shoulder specialist at The Steadman Clinic in Vail, Colorado Matthew Provencher, MD CAPT MC USNR has launched a new patient education website MATTHEWPROVENCHERMD.COM developed by eMedical Media. As one of the nation's leading orthopedic shoulder and knee surgeons, Dr. Provencher created this website to help patients advocate for their own best care and to provide medical professionals worldwide with access to his research and innovative treatment techniques. 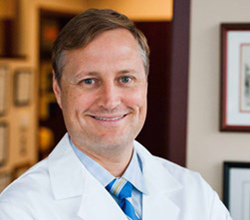 Before joining The Steadman Clinic, Dr. Provencher served as the Chief of Sports Medicine at Massachusetts General Hospital, Visiting Professor at Harvard Medical School and the Head Team Physician and Medical Director for the New England Patriots. He has published over 200 peer-reviewed publications and articles, 148 chapters, and has authored 5 textbooks. Through his dedication to orthopedic research and innovation, Dr. Provencher has pioneered a number of orthopedic procedures to help improve patient outcomes. Dr. Provencher and his team are dedicated to keeping patients of all ages active by providing the most progressive treatment for sports injuries and orthopedic disorders. For those who are seeking diagnosis or second opinion, Dr. Provencher offers film reviews and consultations. Dr. Provencher is a knee surgeon and shoulder specialist at The Steadman Clinic in Vail, Colorado. Dr. Provencher completed his orthopedic surgery residency at the Naval Medical Center San Diego and his orthopedic shoulder, knee and sports surgery fellowship at Rush University in Chicago. Dr. Provencher has returned many patients of all levels - Olympic, professional, collegiate and weekend warriors alike - back to full participation.